What are you wearing? 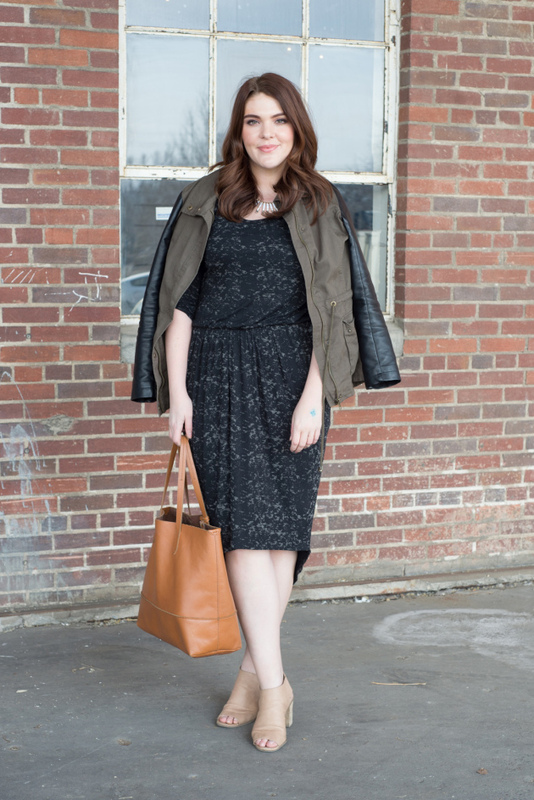 Everleigh dress, tote by J.Crew, heels by Steve Madden, army surplus jacket by F21. Describe your style: As simplistic as possible has always felt right to me; the more classic I stay in clothing, the easier it is to transition from day to night or from work to friends. What's your favorite locally made spirit? Currently coveting both the Fitzgerald Gin and L'etoile Vodka from Du Nord Craft Spirits out of Minneapolis. Have any good spring cocktail recipes? A Salted Negroni feels like all the right things to accompany a sunny afternoon. What are you wearing? Accessory Street, NY shawl, Express silk shirt, Steven Madden leather booties. Describe your style: Comfortable chic, if you can call that a style. I tend to wear anything that I feel comfortable in regardless of the style. What was your favorite maker or brand at the pop-up? What are you wearing? 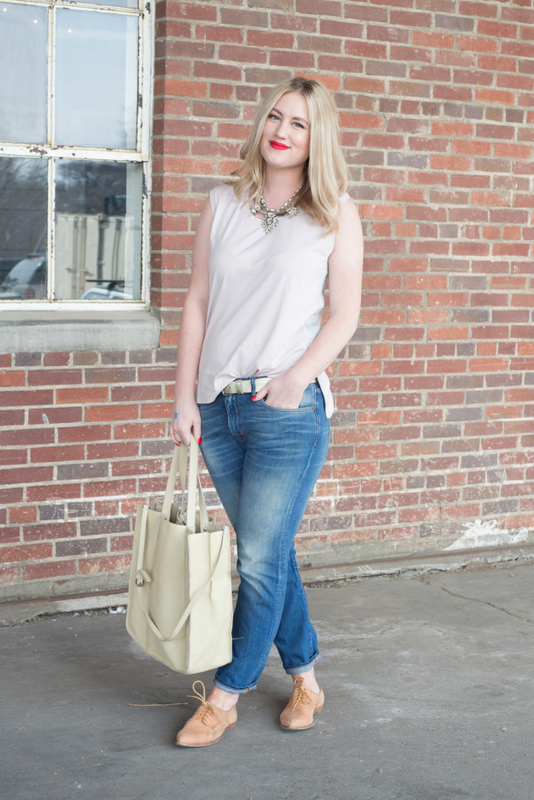 Ann Taylor and J.Crew necklaces, J.Crew side stripe tank top, Ralph Lauren Denim and Supply boyfriend jeans, and Frye oxfords. Describe your style: Lately I've been feeling very modern day Huckleberry Finn — lots of rolled up boy jeans with flats. What's your favorite locally made spirit? Norseman vodka, of course! What was your favorite maker or brand at the pop-up? The lovely ladies at Blue Henn know how to make a mean tonic syrup. What are you wearing? Sweater and jeans from H&M, coat from Forever21; Converse high tops; backpack from Nastygal. Describe your style: I pretty much always wear simple basics, and invest in things like cool shoes and jackets to make an outfit feel more special. What's your favorite locally made spirit? Loonshine Whiskey. What was your favorite maker or brand at the pop-up? Great Lakes Co. & BRLSQ.